The final book in the New York Times bestselling Future Shock trilogy! It's been a year since Elena and Adam were first recruited by Aether Corporation and six months since they destroyed the accelerator. Now Elena's in college and Adam is working on making his cure for cancer safe for the public. But Adam will be anything to figure out his cure, and when he goes missing, Elena realizes that he's done the unthinkable: he went to Aether for help. Using Aether's new accelerator, Adam traveled into the future to find the fix for his cure, but he didn't come back when he was supposed to. Elena decides to risk future shock and time travels once more, but this future is nothing like they've seen before. Someone has weaponized Adam's cure and created a dangerous pandemic, leading to the destruction of civilization. If Elena can't find Adam and stop this, everyone is at risk. And someone will do anything to keep her from succeeding. Track It. This book has been $6.38 within the past year. Log In to track Elizabeth Briggs on eReaderIQ. 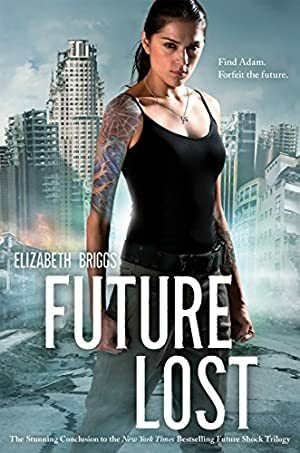 to be notified each time the price drops on any book by Elizabeth Briggs. to stop tracking Elizabeth Briggs. We started tracking this book on October 18, 2017. The price of this book has changed 15 times in the past 553 days. The current price of this book is $7.03 last checked 12 hours ago. This book is at its lowest price in the past six months. This lowest price this book has been offered at in the past year is $6.38. The lowest price to date was $6.38 last reached on August 24, 2018. This book has been $6.38 one time since we started tracking it. The highest price to date was $9.99 last reached on October 18, 2017. We last verified the price of this book about 12 hours ago. At that time, the price was $7.03. This price is subject to change. The price displayed on the Amazon.com website at the time of purchase is the price you will pay for this book. Please confirm the price before making any purchases.